Edwin Smith: A Life in Derbyshire Cricket by Steve Dolman Edwin Smith played for Derbyshire in three different decades between 1951 and 1971. Among his other many achievements, he also represented the county in 497 first-class matches, claiming 1209 wickets at an average of 25.79. Inglorious: Conflict in the Uplands by Mark Avery With an introduction by Chris Packham this book outlines the case against grouse shooting, and its effect on nature and the environment. White Peak Mountain Biking: The Pure Trails by Jon Barton Researched and ridden by a local rider, this book features 24 routes from 10.5 to 45 kilometres in length, suitable for riders of all abilities. The routes are varied and involve limestone descents, twisty woodland singletracks and cruising along easy cyclepaths through green fields and pretty villages in Derbyshire. Heritage Walks in the Heart of the National Forest Now that spring is on its way, some lovely walks await in this booklet, created by the Overseal Footpaths Volunteer Group in the picturesque (and very underrated!) National Forest area. The Ghost Runner: The Tragedy of the Man they Couldn’t Stop by Bill Jones This book outlines the story of John Tarrant, who started life as a teenage boxer, but was subsequently banned from running. He ran anyway, taking part in races even though he was not allowed to compete. All the reviews point to an extremely fascinating and readable story which is difficult to put down. Ind Coope & Samuel Alsop Breweries: A History of the Hand by Ian Webster This book charts the fortunes of two Burton upon Trent brewing giants: Samuel Allsopp, and Ind Coope. Researched from the extensive company archives and other literature, this book not only deals in historical fact but brings the story to life, with anecdotes about brewery life that are often humorous and candid, taken from numerous interviews with ex-employees ranging from directors and managers through to operators on the brewery floor. It should be worth a read for anyone who remembers Double Diamond, Long Life and Skol ! Here’s another treasure from the Local Studies collection at Derbyshire Record Office: some of the handbooks for walkers published by the Sheffield Clarion Ramblers. The driving force behind the group was George H B Ward (1876-1957), a Labour Party politician and activist. You can read more about him on the Kinder Trespass website. I love these guides because of their delightful miniature size, so easy to slip into the rambler’s pocket, and for G H B Ward’s exhortations: “None but sturdy and proven men-ramblers must attempt this walk. Beginners must stay away”. Jack, 16, from Chesterfield has spent the last two months on work placement with the Record Office, and stemming from his interest in geology has investigated the archive and local studies collection available and kindly produced this guide, for which we are very grateful. White Watson was by profession a sculptor, marble worker and mineral dealer, he lived most of his life in Bakewell, Derbyshire. He was born at Whiteley Hall, near Sheffield, on April 10th 1760. He was the son of Samuel Watson, and it was from him that he learned his trade. They were both stone-masons and sculptors engaged with the rebuilding of Chatsworth House in the late seventeenth and early eighteenth centuries. There is no mention of any journey more than twenty-five miles from Bakewell, and even visits to places as near as Sheffield and Leek were infrequent. Judging by surviving documents, he does not even seem to have visited his wife’s home in Leicestershire. The publications of White Watson’s work are an inadequate picture of his true geological attainments, for example, only two of his detailed sections appeared as plates in his books. Watson’s first work, ‘A Section of a Mountain in Derbyshire’, was apparently meant to be a generalised section of Derbyshire, not a specific locality. Within the section, he recorded three main beds of limestone with different basic properties and ‘mineral and fossil productions’ which were regularly seperated and penetrated by rake-veins and broken by faults. He followed the ideas of another geologist, Whitehurst who’s ideas were shown in the ‘Inquiry of 1785’. These were, observing the patterns in the strata and being able to forecast what would be found beneath the bed rocks of Derbyshire. 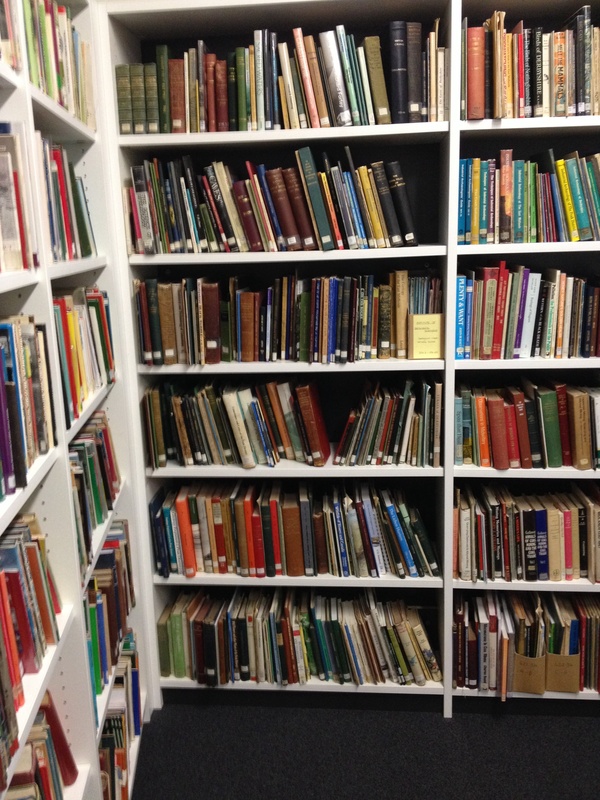 The local studies collection holds many geology related books and records, there are articles covering everything from Caving to coal fields, and limestone to moorlands. Many of the resources in local studies are very specific to the Peak District and Derbyshire. However, is is also a useful collection for research in to the geology of Leicestershire, Yorkshire and Nottinghamshire. There are many books regarding caving and the study of caves (speleology) in local studies. With the Peak District being so rich in caves; and many other geological landforms, in fact, there is bound to be quite a wide interest in the area. 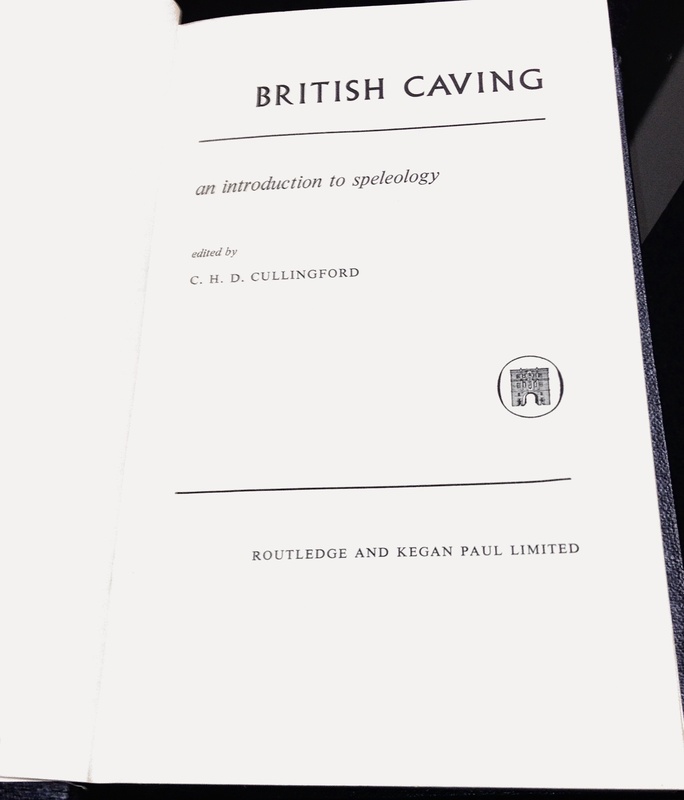 This book, for example, ‘British Caving’, covers all aspects of caving, including: both the science of caving and the practice of caving. This shelf contains the local studies geological resources. 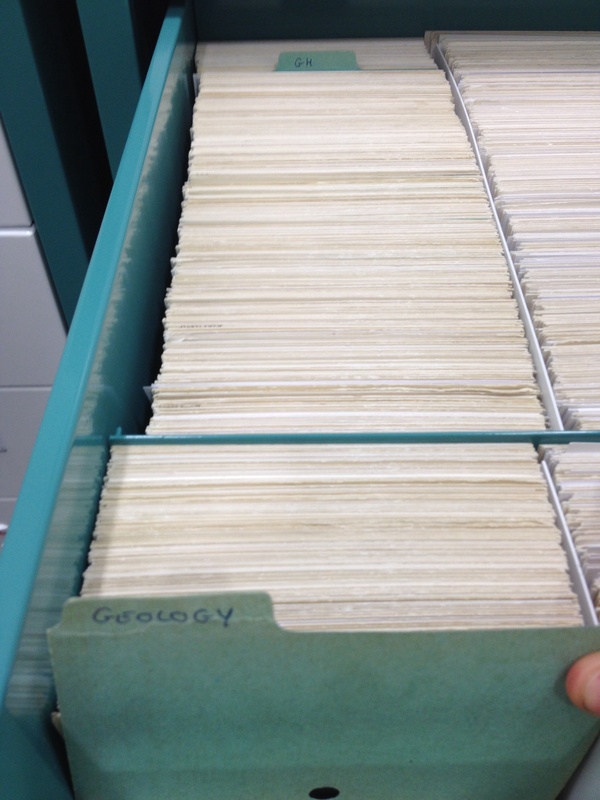 This section of the card index shows all of the Geology related books, articles and publications held at the Derbyshire Record Office. The catalogue is extensive and gives access to geological maps, as well as the full works of White Watson. 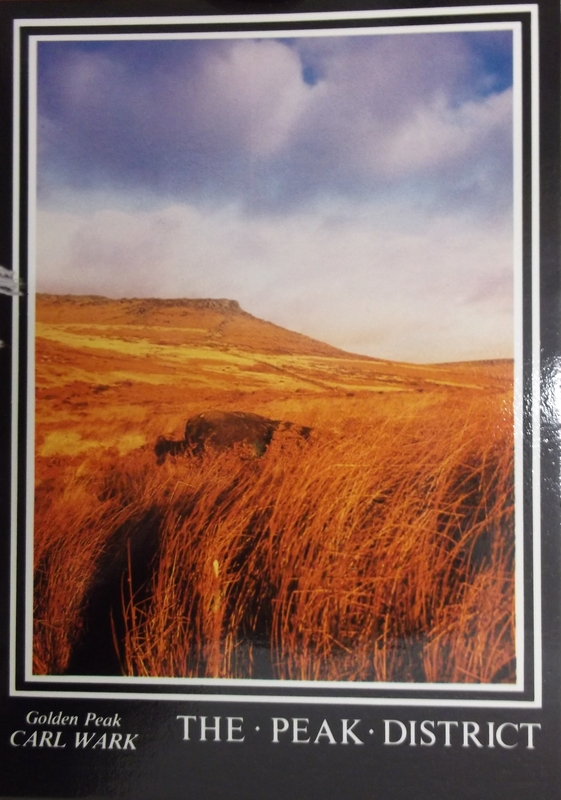 The card index also holds items relating to geomorphology and the landforms and drainage basins of Derbyshire. This would hold records of water table fluctuation as well as history of floods and flooding in Derbyshire and parts of Nottinghamshire. Overall, the available resources at the Derbyshire Record Office would be more than adequate for amateur geologists, or anyone who is interested in finding out a little more about what’s under your feet!